Clemson Downs is dedicated to serving our residents, this would not be possible without our Clemson Downs Volunteers. 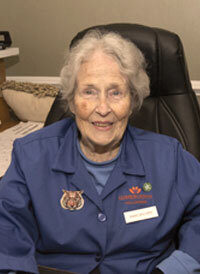 The volunteers are an engaged and vital part of our retirement living community. For more information on how you can volunteer at Clemson Downs please see the link below. Click here to learn more about how you can become a volunteer for Clemson Downs. Our volunteers greet our guests and residents with a smile, when they visit the health care center.